Way back at Musikmesse 2012, I was lucky enough to get a first look at DJ Tech’s new scratch mixer. They were suitably excited about it because it was the first mixer announced get a Mini Innofader from Audio Innovate. 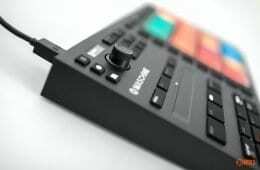 They weren’t first out of the starting blocks though as Native Instruments got that honour with the Kontrol Z2. 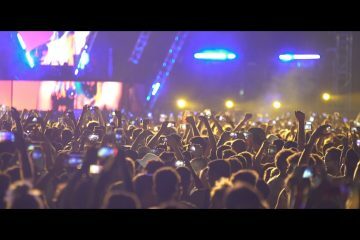 But now the DJ Tech DIF-1S is ready to go, and they have a promo video just for you. DISCLOSURE: I was contracted to make the video but have had no involvement in design of this project. 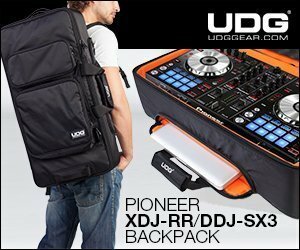 Fear not – this will get an unbiased review, because I want to help DJ Tech make better DJ gear. DJ Rasp does the honours on the decks, and Mr Brown provides the music. 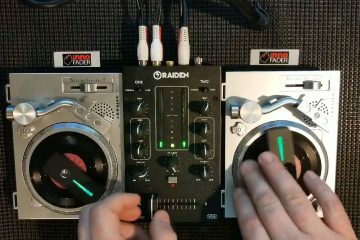 The video itself is designed to be a promo ad rather than a performance video hence the brevity, but it does show that the Mini Innofader is no slouch when it comes to scratching, and you don’t need 5 minutes of crabs to prove that. I’m looking at putting together some more scratch talent to give the DIF-1S a beating. I’ll keep you posted on that. DJ Tech Pro is proud to introduce the newest edition to our line of scratch mixers. The DJ Tech DIF-1S is a professional DJ scratch mixer featuring the all new Mini Innofader crossfader from Audio Innovate. 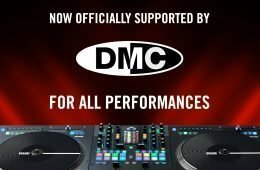 As a sponsor of DMC’s online battle in 2012, DJ Tech wanted to address the needs of scratch DJs, and the DIF-1S has been designed to offer the perfect balance of features, quality, compactness and value for money. The DIF-1S is fitted as standard with Audio Innovate’s new Mini-Innofader. Building upon the foundation of the industry’s favourite crossfader, the Mini Innofader offers a 4 million cycle long life, as well as a user adjustable cut-in distance and reverse switch. The DIF-1S is also fully compatible with the full-sized Innofader in all 3 fader positions. “We went right back to basics” said Alessio Foti, DJ Tech’s Technical and Marketing Director. “At a time when 2 channel mixers are becoming increasingly complex and expensive, we realized that all a turntablist really needs is a good crossfader in a box – and that’s exactly what the DIF-1S is”. Addressing the digital age where DVS systems like Traktor and Serato Scratch Live are commonplace, the DIF-1S also features a dedicated Timecode switch on each channel, which allows seamless changeover between DVS systems with no interruption to the music. 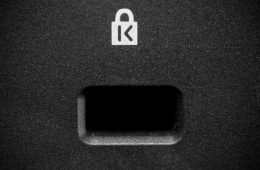 Alessio Foti has this to say – “there are many different methods out there to handle this, but we feel that this is a highly effective implementation that enables DJs to choose between phono, line or DVS“. Scratch mixers need to be tough. And with a heavy gauge faceplate and metal controls nutted onto the chassis, the DIF-1S is built to last. The small frame adds to the feel of quality and makes it highly portable and easy to fit into any setup. 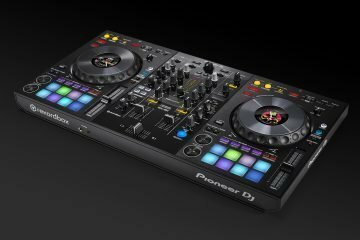 The DJ Tech DIF-1S will be shipping in February with a suggested retail price of $149 / €129 / £99. For more information on the DIF-1S and other DJ Tech products, please visit www.djtechpro.com. DJ Tech is a leading provider of DJ equipment and technology. 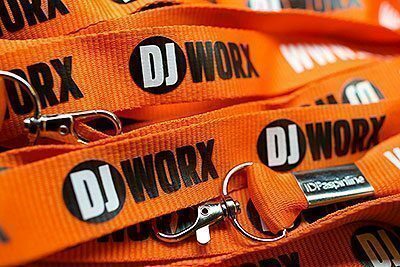 At DJ Tech, we love sound and believe that it is important to cater to the specific requirements of today’s increasingly evolving DJ. From beginner to advanced, analog or full digital, DJ Tech innovates and develops products for all types of DJs. Yes, you read it right – a scratch mixer with a Mini Innofader for just £99. 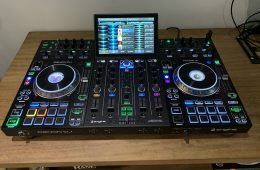 The normal route to scratch happiness without breaking the bank has been to track down a used Vestax 05 or 06 and shoehorn a Pro X Fade or Innofader into it. That still doesn’t get you much change from £200. You could also track down an American Audio QD5, but they never seemed to be that popular with scratch DJs outside of the US. But £99 makes this an absolutely bargain, especially with a Mini Innofader. Like the 06, it does miss out the master cue, but you should still be able to hang a Y cable out of the booth output and headphone scratch in your bedroom while everyone is asleep. Other than that little snafu, the DIF-1S is the ideal starter scratch mixer, and perfect for those who don’t want to shell out for a rather more complex and expensive mixer. 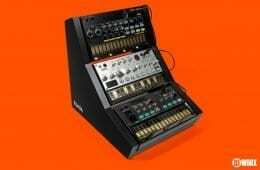 The one handy thing I did discover was that because of the size, the DIF-1S easily avoided the RCA outs on the Stanton decks, meaning that you didn’t have to use right-angled cables to get the deck and mixer sitting flush in battle position. So you can use the featured Neo d+ cables, even if ironically a full DVS set costs than the mixer. If you’re lucky enough to make it into NAMM, you can check out the DIF-1S yourself on DJ Tech’s stand. Head to hall A stand 6310. 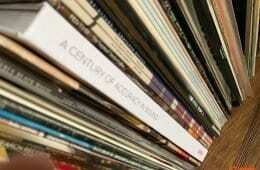 And a full review is on the way.